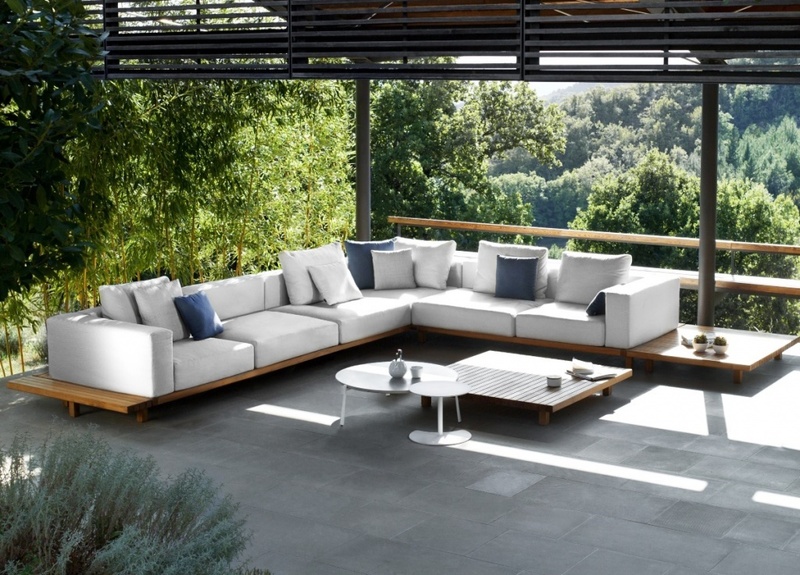 A good sofa can go a long way to make an outdoor space feel welcoming and warm. 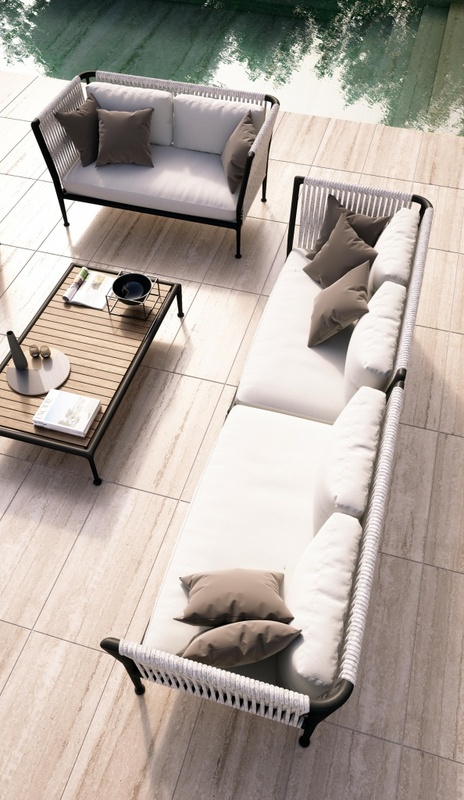 Increasingly we are seeing the lines blurred between inside and outside as people want to make the most of the space they have and enjoy open plan living. The durability of materials has improved as well so the furniture can withstand more weathering than they used to. 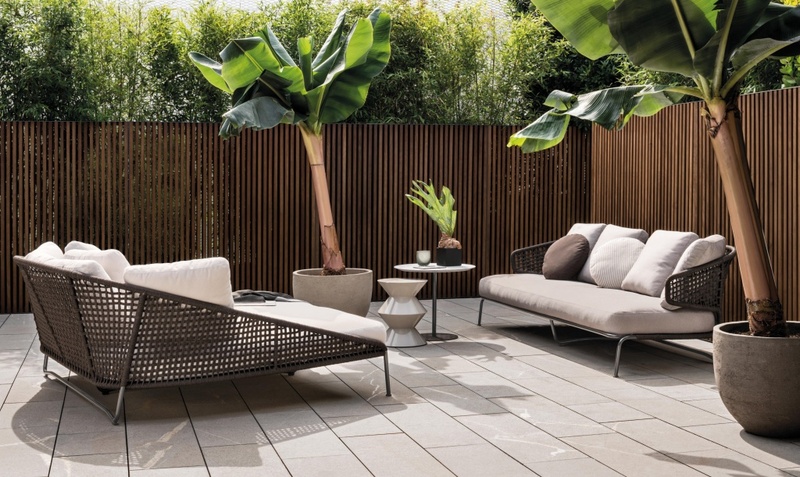 Budgets and styles vary tremendously and while rattan is a favourite for many it’s cheap availability has meant that the higher end tends to opt for a different approach. Whilst there are a couple of rattan style sofas in the following selection consists mainly of high quality teak wood. Have a look through some of the images below and see if there is anything that inspires you. 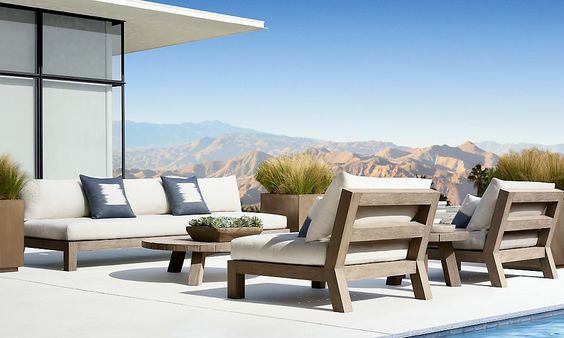 The american company Restoration Hardware doesn’t have a name that you would associate with such stylish and modern design but sure enough they have a vast range of very attractive seating all shot in idyllic surroundings and made from high quality materials. This particular design is called Merida. I’ve seen several stunning roof top gardens boasting Henry Halls work and this city terrace is one such design. 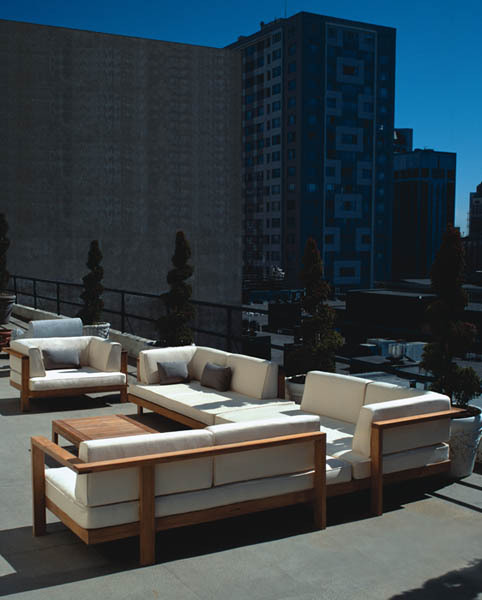 The teak set is a stylish, quality unit that basks in the sun and adds comfort and luxury to a stunning view. 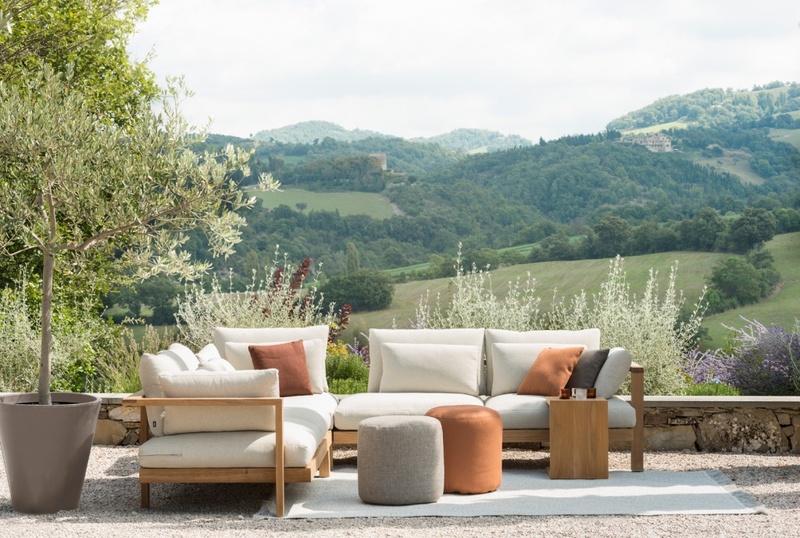 One of the most simple designs but certainly no worse for it the Royal Design from The Netherlands comes in a taupe fabric and is constructed out of high quality teak wood so it is hard wearing for outdoor use. If you can clad a boat in teak then you can make a hard wearing sofa for outdoors! The Utopiu sofa is a step back from the teak that I have shown so far and takes a more rattan inspired design. The metal frame is stylishly woven with a cream cord that creates the comfortable part to sit on. 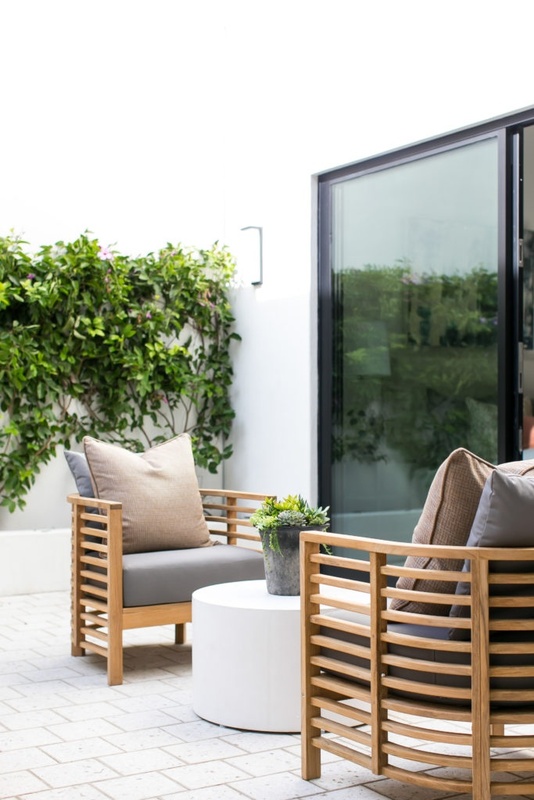 Benefiting from a light weight design and straying away from the rattan weave I think this is a great in-between option. Back on the teak again but this time I sadly don’t know the producer. It has been used by an American interior design firm which in their own right are well worth a look at as they clearly have good taste using these chairs. They look comfortable and would fit well with high quality slatted fencing that we often see in contemporary garden redesigns. This is by far and away the most expensive sofa here, a huge £23500! Though it is nice I’m not sure I can see where the money goes in relation to the companies other product offerings but perhaps there is a very justifiable reason. 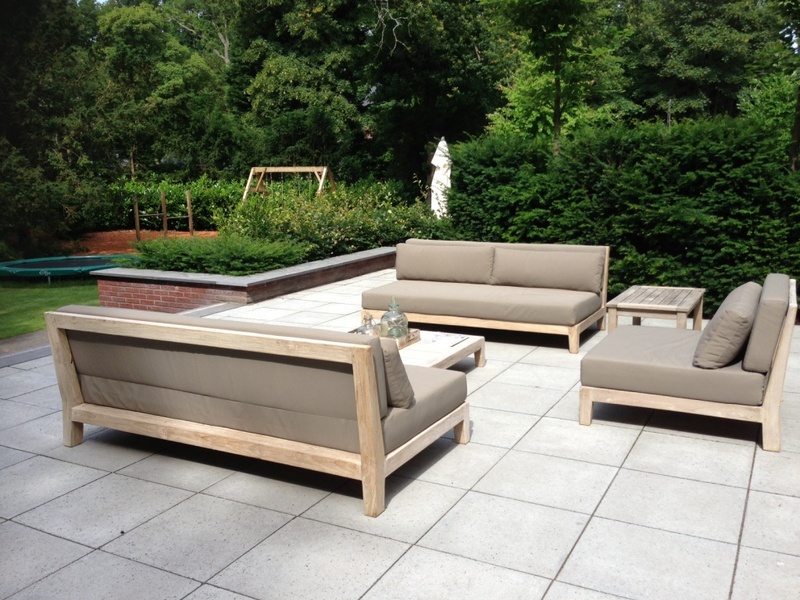 Anyway regardless of cost it is a wonderful outdoor room set and a very nice sofa. Again by the same company, Tribu, this is a very similar design to the one further up by Henry Hall. 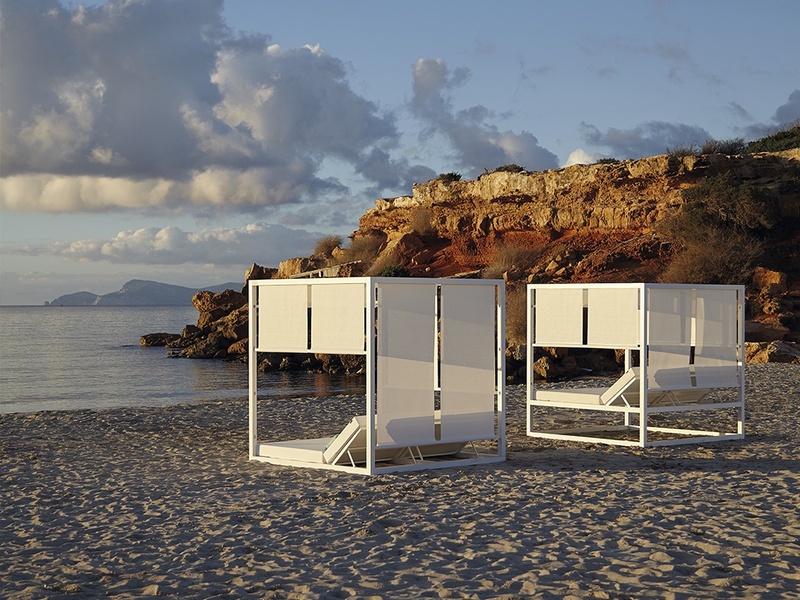 Both are very stylish designs and both are set in stunning environments that get the holiday juices going. A simple design with moulded foam cushions to invite social evenings on day parties. Of all the sofas here the Aston is the most rattan and with its long, extending base blends between day bed and sofa. Both the sofa and day bed options can be seen here. This sofa boasts all the benefits of a rattan design but uses a thinker mesh to differentiate itself and the irregular spacing has bit of charm to it that is becoming more fashionable. These are probably the most commercial of the sofas/day beds mentioned here with their large double person design, frame and screening for deflecting of the sun or prying eyes. If you are fortunate enough to own the space in a climate where this is suitable then I think we can say you have made it, well done. For the rest of us we just have to keep at it. Hope you liked what you saw there and got inspired. Rattan is still a very fashionable and stylish option especially as you can snap some great value up out there but for higher end stuff I would have to go teak personally.